PRODUCT DESCRIPTION: Berry flavored attractant that animals like armadillo, raccoon and rats cannot resist. Use it in most any trap design that requires attractant. A tablespoon is usually enough to attract any animal foraging close by. Replace every 1-2 weeks depending on local weather and where the placements are being made to insure you have a "fresh" presentation. Store unused amounts in a refrigerator to keep it from spoiling. RATE OF APPLICATION: 1 tablespoon is enough for any large animal; less for smaller wildlife. Your web site and videos are simply outstanding! Clear, complete and full of insights it would take a homeowner a lifetime to discover! 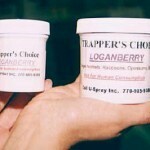 I now understand several mistakes I have made recently and will be ordering your loganberry paste. I already have a cage trap that has worked in the past; I now know why it failed more recently. I will recommend your company to my friends and neighbors who may have rat problems from time to time. Thanks for the kind words! No doubt having the right technical support is important no matter what the "diy" task might be. And when it comes to pest control, I'm certain we can help. Great product! We just reordered this and have used it successfully for years whenever a rat population issue presents itself. We use it in a live trap with some horse sweet feed. I thought their shipping was fast until I saw how damn fast the squirrels and mice ran into their traps to get their claws on the loganberry! It's amazing, those little rodents go crazy for this.